How often do you use your mobile phone for loading web pages? A number of times, right? A statistic presented that 33.4% of the traffic to the website comes from mobile phones and the numbers are increasing exceedingly. Just like you, there are multiple internet users who prefer a mobile device more convenient to visit websites. In order to make your website mobile responsive, it is essential to understand the need of top most WordPress mobile plugins. What if your WordPress theme doesn’t have a build-in responsive plugin? To bring ease to users, I have compiled a list of 5 WordPress mobile plugins that will make your website mobile friendly and interactive. Are you looking for a WordPress plugin that is just perfect and also, FREE? It’s Jetpack plugin. The simplest tool can give an engaging mobile version for your blog or website. 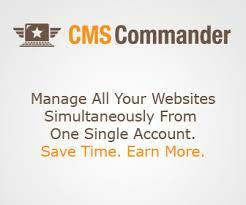 It simplifies the process of managing a WordPress website. The user can have security services, visitor statistics and a fast speed to upload images. This free plugin tells the blogger about the total visits to the website. It also enables to get more traffic with the use of tools like Enhanced Distribution, Publicize, Sharing and Related Posts. Jetpack obtains a strong protection service that secures site from unauthorized logins and force attacks. The plugin automatically speeds up the upload time of images and also, optimizes it with the use of global WordPress.com Content delivery network. It helps in reducing website bandwidth. Even, if you are a beginner or newbie, the tool is easy to use and manage. Jetpack comes with a centralized interactive Dashboard. Managing website, publishing posts or viewing enhanced stats is quick and reliable. The WPtouch mobile plugin is a simple plugin for your WordPress. It enables the user to create an interactive mobile responsive site. It offers a wide range of customization that will guide to make the site look exactly as the user desired. The best thing about WPtouch plugin is that it has been recommended by Google. If a user installs WPtouch plugin then he/she should be ensured about Google-friendly mobile status as the interactive mobile version passes the Google test and also, SEO rankings are not compromised. The plugin also adds an elegant theme to help you get started with your WordPress site. The WPtouch WordPress plugin automatically displays the mobile version to a visitor, who accesses the website through a mobile device. This plugin is FREE to use but the users can upgrade it to PRO for better functionality of the website. It offers an engaging user interface for all users. The intuitive interface is seamless to manage for the new users. Beginners reviewed that it is a well-coded solution that provides a premium quality experience. 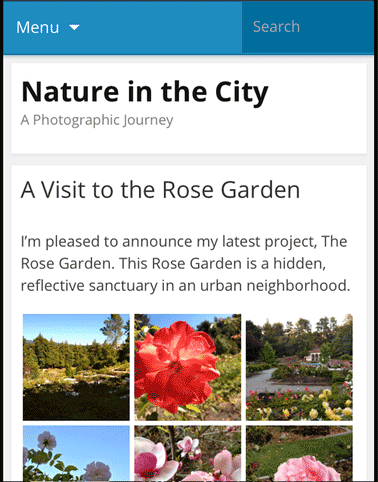 The brand new WordPress Mobile Pack is another excellent mobile plugin that enables users to have a friendly mobile version experience. The purpose of this plugin is to provide webmasters a tool to package their content into an interactive mobile web application. The WordPress Mobile Pack plugin is specifically designed for content creators, webmasters, publishers and bloggers to help them ‘appify’ their contents without the need of creating a mobile app. As you mobile-optimized the site with this useful plugin, the visitors will enjoy the experience of a mobile app, accessing directly through the browser. The powerful plugin also equipped with Mobile Recognition and Device Adaptation. The plugin magically works by detecting the device of the user and provide an easy navigation for visitors. The overall feel and look of the mobile web app is seamless and adjusts according to the screen size of user’s device. Another great feature of using WordPress Mobile Pack is that it quickly integrates with the Google Analytics. It also allows Google Adsense Ads to be displayed perfectly on the mobile version. If you want to switch to Mobile Theme on your own choice, then Mobile Theme Switcher is the correct choice for WordPress blogs. It is known as WordPress solution for making the mobile-optimized site. After detecting the mobile browser, the plugin displays the set theme based on the pre-set options by the admin. You can even select a different mobile theme for each mobile browser. The plugin has the capacity to detect Iphone, Ipad, Android, Windows Mobile, Opera Mini, Blackberry and other mobile browsers at an ease. The free option offers a selected range of features to kickstart things. But, the PRO version of Any Mobile Theme Switcher works brilliantly by offering separate homepages, integrated QR code, and cache plugin. The WP Mobile detector offers a set of features to help bloggers and webmasters to get started. This plugin is super easy to use and provide the simple procedure to create a responsive web version of WordPress without facing troubles of coding. By using this plugin, you will have a compatible WordPress mobile theme that enables a beautiful look to your website. The WP Mobile detector functions at automatically detecting the type of mobile device. The most attractive feature of this plugin is that it caters to both standard mobile devices and smartphones. For better performance of the website, the plugin also provides advanced features as content formatting, mobile statistics and image resizing. In short, this is a desirable plugin that works perfectly for mobile users. All the above-mentioned WordPress Mobile Plugins are simple and easy to navigate. Within a few minutes, you can install a plugin and provide a friendly mobile experience for your users. Just like other webmasters, I am deeply impressed with the basic features of Jetpack. Because the FREE version gives quality access to all website users and an overall check on the statistics. sarmad has written 1 awesome articles for us. I have new to this blogging world and have tried up setting various mobile plugins like wptouch, wordpress mobile pack and duda mobile but none of the plugins help me display images on my mobile site. Please suggest a good plugin that will display images properly on my mobile site. Did you tried built in feature of jetpack? It’s wonderful mobile plugin. BTW, which images are you trying to show on mobile? The Mowser WordPress plugin you explained is good but will it be able to mange from all sort of mobie OS? Wp Touch works great, I’m not sure about Mowser. Right now, I’m using Jetpack builtin mobile theme feature. There are so many mobile devices and as many operating systems, it is simply impossible to keep them all in mind. I would like to turn things around and ask the mobile market to create a standard platform because it is currently unworkable. Thanks for this great post, The one am using right now on my blog is Mobilepress, i really like it, Thanks once again.. I learnt from one of your posts about Mobile optimization and now gonna use WPTouch for the same purpose. Thanks a lot for the beautiful list. Helped me choose the best plugin for my blog. Very, very good plugin pack list man ! Great job ! Some of your post are really amazing ! Nice list of plugins to make our WordPress blogs mobile friendly. I have already used a few of them including WP Touch and Mobile Press. Anyways, thanks for sharing this awesome post. Thanks for the awesome list. I have been looking into most of these here lately. I am trying to figure out which one fits my blog the best. I think I may just go with something that is custom made for my blog. It may cost a little more but I like continuity throughout. thanks a lot buddy I never knew about this plugins, I was searching for application. This post made my work easy. Yes – I have been using wordpress for quite a long while now. And with the excellent applications (and onsite plugins for that matter) it has just become that much easier and powerful, especially if you are mobile and have a need to update the dashboard (and much more) on the go. I’ve been using WP Touch mobile version plug-in and it loads fast for handheld device users. Mobile version of the website is one of the best factor for reducing the bounce rate. Yes this is one of the best plugin out there! I have used WP Touched but its giving me some problem while using it.some times its shows mobile views in while i m through PC.please help me how to get ride from it. Use latest version of WP Touch! or deactivate and activate plugin again! Yes these are very good plugins currently out there!!! Instead of using these plugin, I would like to go for Responsive Design. Complete website will be flexible on any sort of device. That’s very good idea but some bloggers especially new bloggers are lazy and keep on searching the plugins……so that will help those sort of bloggers. If you are involve in online marketing then one thing you should do you should has been updated all those kind of plug-ins which mentioned in this post then it would be prove much beneficial for you and your business as well. yes sarmad you are right WP Touch is one of the best and most easy to use plugin. i am also using this awesome plugin on my blog.